The kit contained a small packet of gypsum, which (as I understand it) can be used to tweak the pH of your water, but in this context, is used to accentuate the bitterness of the brew and give you a drier stout. The wort tasted stoutish, and the samples at racking and bottling both tasted like flat stout…all good signs in my book. The final result? This is good beer, like the non-draught bottled Guinness I used to buy, only (dare I say?) better. Like strong French roast coffee, hearty bread dark-toasted, with a pleasant prickliness that grabs your tongue on the way down. [Blogger’s Note: I may be biased, since it’s mine, my own, my…prrrrecious!] I’ve had one bottle chilled and several at basement temperature (around 65 degrees F), and all have been delicious, though the warmer ones are decidedly better in my book. Complaints? I definitely get a better head with these (see the top photo), but it still lingers only a few minutes. 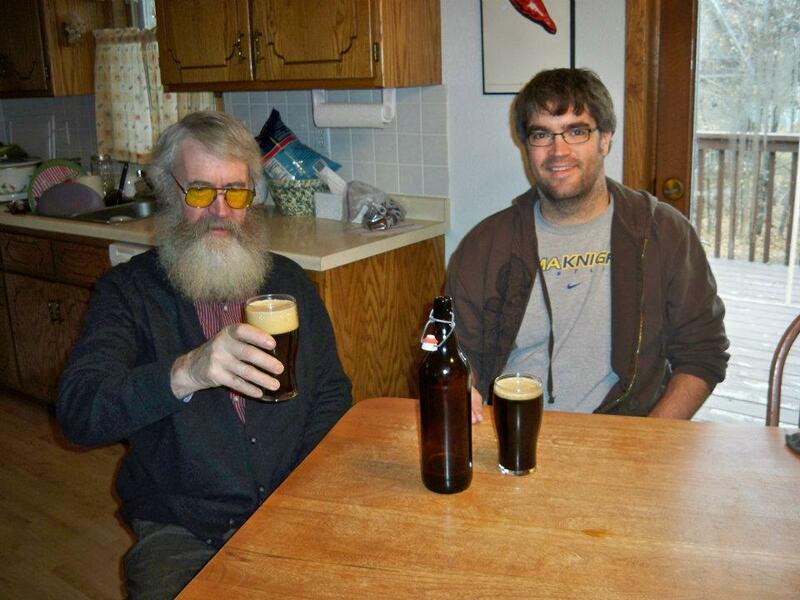 Also, I had hoped to make an all-homebrew black and tan with one my few remaining English pale ales, but despite my Dad’s insistence that he has successfully pour a black and tan with non-draught stout, I failed on multiple attempts. 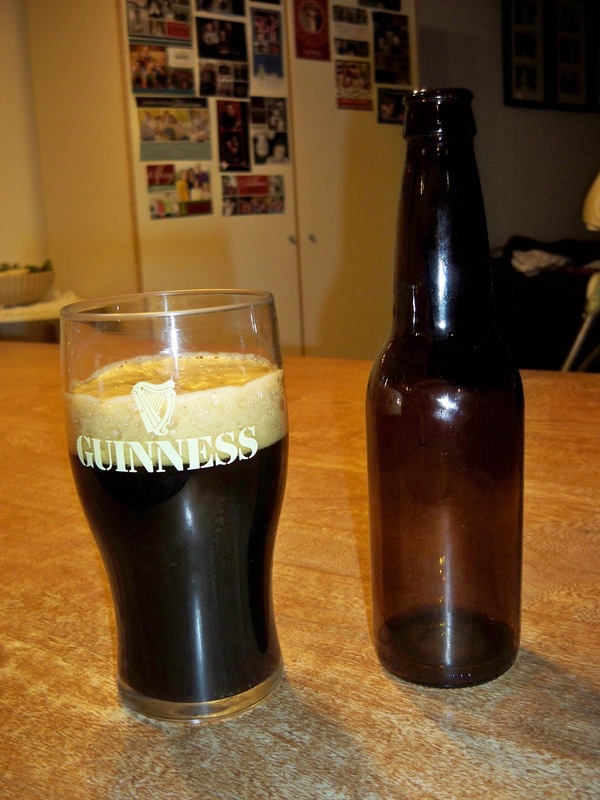 The resulting mistakes were consumed, of course, and fortunately tasted like good dark beer. I want the beer, I love the picture!